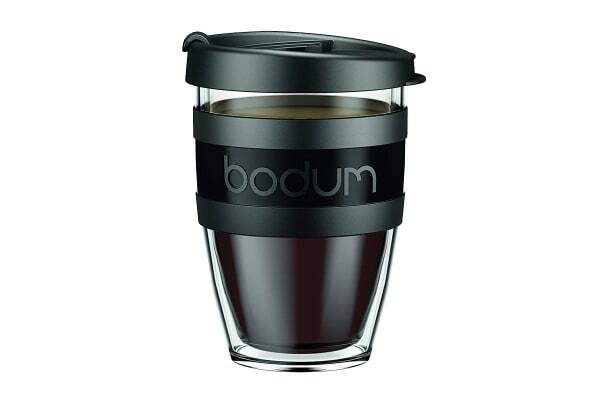 When you’ve taken the time to make seriously good coffee, take it with you in the Bodum Joy Cup Travel Mug and savour it wherever the day takes you. The Bodum Joy Cup Travel Mug is as practical as it is stylish, making it an ideal alternative to disposable cups. The innovative, insulating design keeps hot and cold drinks at the perfect temperature for longer, while protecting your fingers. Thanks to the silicone band around its middle, the Joycup is easy to hold. What’s more, the secure lid guards against spillages! Caution: Please remember to keep your cup upright for happy, leak-free journeys.